You can rely on the professionals at Bernell Hydraulics to provide expert assistance with any kind of hydraulic equipment in Chino Hills CA. We can provide parts and service for industrial, mobile, and agricultural systems. Here is an overview of the major services we offer. When your hydraulic equipment breaks down, you need help fast. The expert mobile technicians from Bernell Hydraulics can provide that help, even if you’re not quite sure what’s wrong with your equipment or what new parts you may need. Just give us a call and we’ll come help you figure it out. Our mobile repair services are available 24 hours a day. 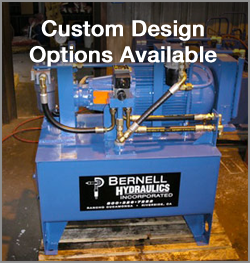 When you choose Bernell Hydraulics for your repairs, you can rest assured we’ll send an experienced and knowledgeable technician to your aid who can provide accurate diagnoses and expert repairs. At Bernell Hydraulics, we carry a tremendous variety of hydraulic parts suitable for all kinds of hydraulic equipment in Chino Hills CA. Whether you are looking for a quality name brand part from a company like Parker or Lion, or just want to find a generic part that will get the job done, we can help. Call us and have us ship the parts to you, deliver them to your worksite, or pick them up yourself at one of our stores. We offer service and maintenance for virtually every part of your hydraulic equipment in Chino Hills CA. You can come to our shop for parts replacements, fluid drain and changes, power flushes, welding, and system evaluations. We can also provide all of these preventative maintenance and repair services at your work site through our mobile field service.